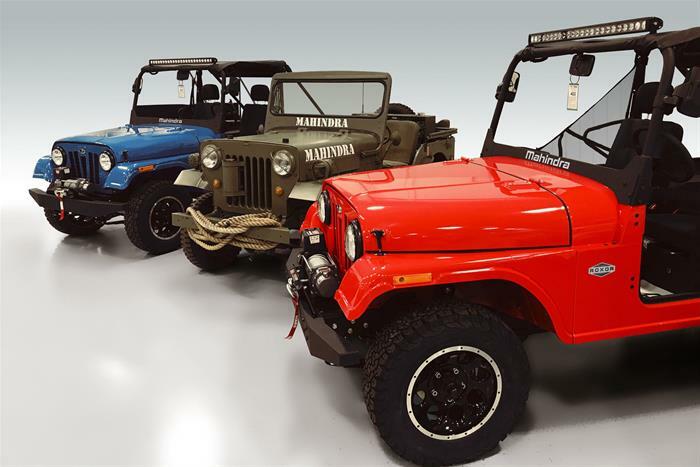 Mahindra’s auto business began 70-years ago with a license to build Willys vehicles for the Asia region. AUBURN HILLS, MI – Automotive and powersports journalists from across the country, along with high-ranking federal and state officials, gathered March 3rd for the public unveiling of Mahindra’s ROXOR—a new, off-road vehicle that signifies Mahindra’s commitment to introducing their tough, no-nonsense automotive heritage to consumers in the North American market. 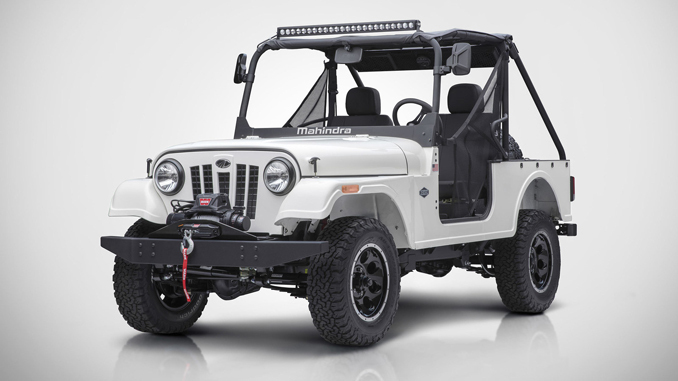 ROXOR’s design demonstrates that Mahindra intends to stay true to their roots of industrial-grade construction and durability. “The ROXOR creates a new sub-segment in the Side x Side industry, and the response we’re getting from our newly appointed dealer body has been really outstanding. We have a National Dealer Meeting scheduled on March 18-20th, in San Antonio, Texas, where we’ll sit down and discuss the roll-out and future product offerings. We’re approaching our goal of 300 ‘1st wave’ dealers, and expect that we’ll reach this target between now and the end of the show,” said Rick Haas, Mahindra North America Automotive’s President and CEO. Mahindra Automotive North America (MANA) is Mahindra’s North American automotive headquarters. In addition to leading all North America activity, MANA is a comprehensive automotive design, engineering and vehicle development center. Established in 2013 and located in Auburn Hills, Michigan, MANA’s team of veteran executives, engineers and designers working with affiliate Mahindra automotive teams in India, Korea and Italy, is playing a key role in growing Mahindra’s global automotive business. The Mahindra Group is a $19B federation of companies that enables people to rise through innovative mobility solutions, driving rural prosperity, enhancing urban living, nurturing new businesses and fostering communities. It enjoys a leadership position in utility vehicles, information technology, financial services and vacation ownership in India and is the world’s largest tractor company, by volume. It also enjoys a strong presence in agribusiness, components, commercial vehicles, consulting services, energy, industrial equipment, logistics, real estate, steel, aerospace, defense and two wheelers. Headquartered in India, Mahindra employs more than 240,000 people across 100 countries.